Are you awake now, too? A classic case of "a grow-er". 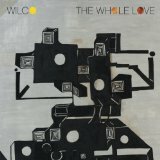 Every time I hear a new Wilco record i think its good. About 6 months later I realise it's, in fact, genius. I'm betting simply a collection of the first words that come to one's mind as they're awakening. I know I've had more than a few "where the hell did that come from?" thoughts in the space in between consciousness and dark. It's either deeply symbolic or a complete word salad—but I like it either way. When I first heard of them, I thought the name referred to Wilco Johnson. I'm a long time fan of him and his great rhythm guitar method. Would live to hear some of Wilco Johnson and Solid Senders. Wilco was originally Dr. Feelgood's guitarist. Lovely song. One of Wilco's best, I think. But too melancholy or wistful. Limited listening for me. I always say: does this band know how to rock and roll? On songs like this they do neither. FYI...these guys use to be a helluva RnR band; live and recorded. I'm liking a lot from what I hear from this artist. Yet another RP find. Nice mellow song. I love Tweedy's voice. as much as i like wilco and son volt, i really do wish i had the opportunity to see uncle tupelo. it was just music written the way i lliked to hear it. Saw them in Vermont in 1992 as part of the "Arkansas Traveler Revue" with Michelle Shocked, The Band, and Taj Mahal. They were the only ones I had never seen before and they stole the show. Music to slash your ankles by. Good for when you are finding Leonard Cohen too upbeat. Gonna be hyperbolic here, but I can think of no other American band that's had a better run in the last 15 years than Wilco. And live they are incredible. Not in a million years could you ever, ever be hyperbolic. Nice music. ... But it makes me contemplate that this could be the theme music for a movie about clinical depression. Tweedy's genre is called "rock and roll." He's surely misplaced the rock. Maybe he doesn't always feel like writing and playing songs that sound like Jerry Lee Lewis, Chuck Berry, or Little Richard. I find their music simplistic and uninteresting. Not sure why they became so popular. You should see them live...that'll change your mind. definitely a radio paradise repeater track. I couldn't disagree more. I think Wilco is one of the top bands going. Spiritually intriguing tune. Love this one! Because their music is quite complex (a wonderful mix of influences), their musicianship is top shelf and the lyrics are quite interesting . So have you actually listened to a "rock" station nowadays? It's not really rock, and it is all horrible. This was always a quite broad and general category and at one time it was useful. This is no longer the case. just saw them in concert with My Morning Jacket and the relatively unknown Robert Zimmerman from Hibbing, MN. Great show. If you get to see the Americanarama tour, check it out. There's a song on this album called "Almost" that rocks. Zimmerman eh. He is a Jew, one of the few from Minnesota. Funny thing, I thought when little black submarines came up that it was this song. Intro kind of resembles this tune's. Very happy this still got played, very soothing. I love Wilco, but this song is just... meh. The first time I ever heard (and saw) Wilco was Austin City Limits. I've been in love ever since. This is very un-Wilco like. Anyone else hearing a bunch of Supergrass in this? Wilco I whole love you! Nope. No resting - maybe you aren't listening. Art of Almost isn't exciting or new? Hmm...Have you even heard "The Whole Love"? Every Wilco LP is brand new, yet familliar - just as a great band should be. No laurels, man — HIGHLY disagree. Biscobret...you have a good point. I shall give the entire CD a listen. I do like Wilco...just wasn't in the mood for it when I wrote that comment. Without a doubt the best American band of my generation. Wait — am I a generation? Whoa...! Very much a 'resting on their laurels' type of band. No need to excite and be new. Just be drone like...kinda sloppy and sleepy. I suppose I do like the atmosphere that's created here. I'm just not in the mood for it now. I want a pick me up. How 'bout some java! Quite glorious and beautifully restrained. Very few bands can pull off a song like this with such a delicate touch. So on my bucket list of must see bands. Maturing like a fine wine they are. Very very nice. Quite a beautiful song. I saw them in Vancouver the night of the Superbowl, and was completely blown away. I also managed to get a fairly decent audio recording of the show, as Wilco supports and encourages tapers. I'll post links once I've finished mastering it. I have come around so much on this album since first listen. A real creeper. Nice stuff. I saw them in Seattle last Tuesday Feb 7 and they were terrific then too. Also didn't play this, to my surprise. Saw them here in Santa Barbara Friday...and they rocked the entire time. Great show. Didn't play this song though. It is beautiful. Subtle, smooth, gorgeous. I am having the type of experience I am sure many have with Jazz, though that is just a guess. I think I read that it was Pat Sansone's idea to add the strings to this song, and they really add to the ambiance. Love this! My first listen, and yes, this song seems to suit nighttime listening...stay up late...and drive on into the sunrise!!! My god are they boring!!! My God are you wrong!!! really liking all of the new release!! I find this very intriguing! From what I have heard from this album so far, looks like Wilco is back! I haven't been too fond of their last couple of albums. This one shows promise! This one's really good. A definite improvement over Wilco the Album IMHO. Been through the new album about a half dozen times and like a good wine, it keeps opening up with each each sip. Have a number of the melodies flying around my head when i go to bed and again when i get my day going ...Wilco fans will not be disappointed...Tweedy and his crew are the best in the business today. Well said ... I have had the same experience. Saw them in Atlanta recently, and they were magnificent. Hope RP shares "One Sunday Morning," the song they opened with. Just starting to absorb it. Especially like the first Track (Art of Almost). Hope they play it on RP. Just a hint of Calexico... NICE!!!! Saw them last night at Merriweather Post Pavilion in MD with the great Nick Lowe. Great show, great venue, great night. One of those nights that remind you that you're alive. The show was to be broadcast live on NPR, so will probably show up on their podcast soon. New Wilco! This one is easy on the ears. Didn't know a new album was in the wings. And it's being played here before it's official release date? New Wilco! Always welcome here!